A fantastic and unique fancy dress costume, perfect for 1980s/Film themed occasions. 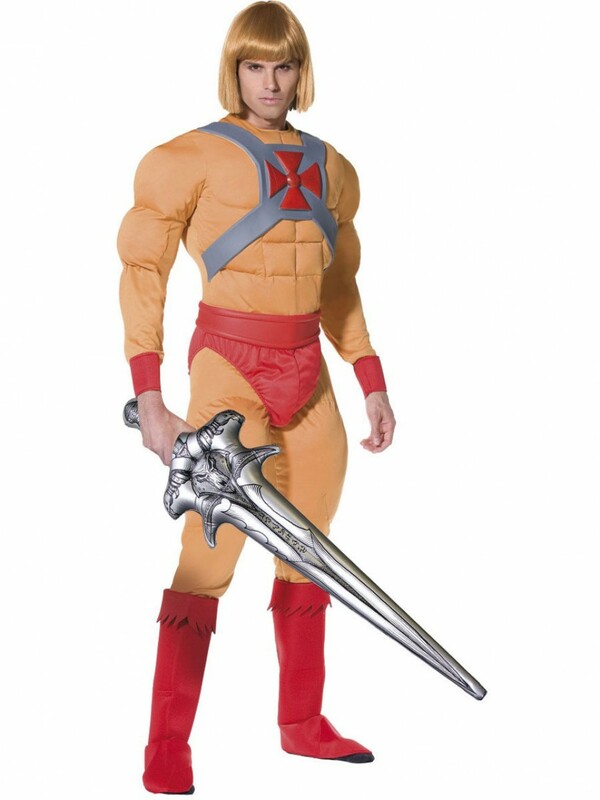 This licenced He-Man Costume includes Jumpsuit with Belt, Cuffs, Bootcovers and Inflatable Sword. 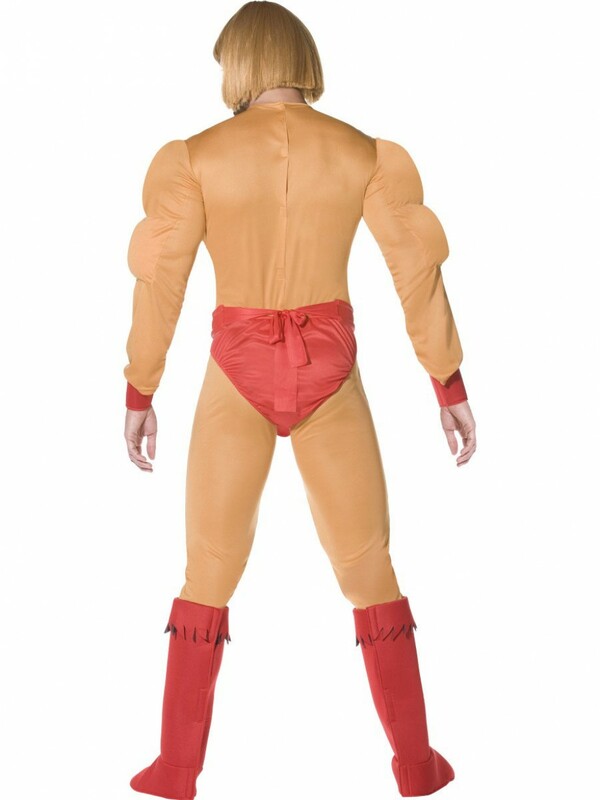 Strike all competition with this fabulous licenced He-Man Costume, ideal for 1980s/Hero/Character fancy dress occasions. This costume includes Jumpsuit with Belt, Cuffs, Bootcovers and Inflatable Sword. The orange/beige jumpsuit includes muscle padding to fully emphasise the look, this includes arm muscles and on the chest area. The front of the costume has a plastic silver and red chest piece, a red belt goes around the waist and red pants make up the jumpsuit. Also included in this greatly-detailed costume is a pair of red arm cuffs, a pair of red boot covers and a large silver inflatable sword with black detailing on. This brilliant He-Man Costume is perfect for any 1980s/Icon/Film Character themed fancy dress occasion! He-Man Costume with Jumpsuit with Belt, Cuffs, Boot Covers and Inflatable Sword.